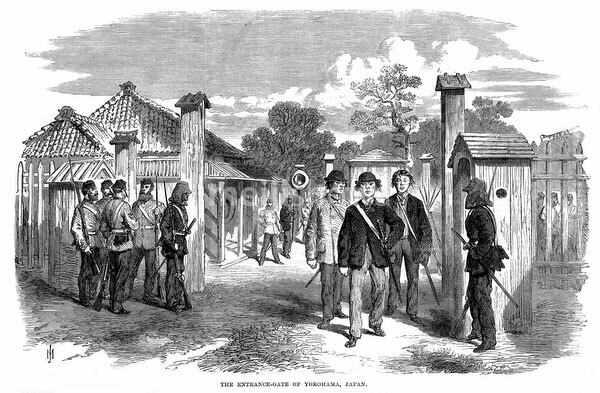 Soldiers guard an entrance-gate of Yokohama, Kanagawa Prefecture. Published in The Illustrated London News of August 1, 1868 (Keio 4). For several years after its founding, guards were stationed at checkpoints on all major thoroughfares into Yokohama’s foreign settlement. The area where the foreigners lived and worked was called Kannai (館内, within the gates).